In his hotly anticipated announcement Wednesday, President Bush ordered NASA scientists to plan for a manned "foothold on the moon." They might look through their old filing cabinets to start, because the U.S. government and its contractors have been planning lunar colonies since long before Neil Armstrong took his one giant leap for mankind in 1969. Since word of Bush's space plan leaked last week, political rivals and some space-policy experts have assaulted it for being too expensive and grandiose. 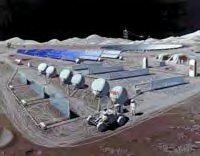 But the 2004 plan sounds downright meek compared with a 1959 scheme to use nearly 150 rockets to outfit a military outpost on the moon. A 180-person lunar commune probably isn't in the works, as was proposed in 1972. And it's hard to imagine a replay of 1975's idea to build a 100-ton, magnetic-levitation train for tossing bags of freshly mined lunar soil into space, where it would be processed into industrial supplies. "There's always been two schools of thought in space exploration. One's the flags-and-footprints mentality -- let's just touch down for a second. The other is the permanent-habitation school," said Gregg Maryniak, former director of the Space Studies Institute at Princeton University. "Up to now, we've been like little kids, splashing water on our ankles and saying we've been in the ocean," he added. But there have always been plans to swim. Big plans. In 1959, the U.S. Army outlined in a report a seven-year effort to put a Pentagon outpost on the moon. "Moon-based military power will be a strong deterrent to war," the document opined, because "any military operations on the moon will be difficult to counter ... if forces are already present and have means of ... neutralizing any hostile forces that have landed." The Spitzer Space Telescope (formerly SIRTF, the Space Infrared Telescope Facility) was launched into space by a Delta rocket from Cape Canaveral, Florida on 25 August 2003. 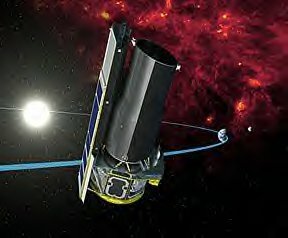 During its 2.5-year mission, Spitzer will obtain images and spectra by detecting the infrared energy, or heat, radiated by objects in space between wavelengths of 3 and 180 microns (1 micron is one-millionth of a meter). Most of this infrared radiation is blocked by the Earth's atmosphere and cannot be observed from the ground. Consisting of a 0.85-meter telescope and three cryogenically-cooled science instruments, Spitzer is the largest infrared telescope ever launched into space. Its highly sensitive instruments give us a unique view of the Universe and allow us to peer into regions of space which are hidden from optical telescopes. Many areas of space are filled with vast, dense clouds of gas and dust which block our view. Infrared light, however can penetrate these clouds, allowing us to peer into regions of star formation, the centers of galaxies, and into newly forming planetary systems. Infrared also brings us information about the cooler objects in space, such as smaller stars which are too dim to be detected by their visible light, extrasolar planets, and giant molecular clouds. Also, many molecules in space, including organic molecules, have their unique signatures in the infrared. Because infrared is primarily heat radiation, the telescope must be cooled to near absolute zero (-459 degrees Fahrenheit or -273 degrees Celsius) so that it can observe infrared signals from space without interference from the telescope's own heat. Also, the telescope must be protected from the heat of the Sun and the infrared radiation put out by the Earth. To do this, Spitzer carries a solar shield and will be launched into an Earth-trailing solar orbit. This unique orbit places Spitzer far enough away from the Earth to allow the telescope to cool rapidy without having to carry large amounts of cryogen (coolant). This innovative approach has significantly reduced the cost of the mission. Spitzer will be the final mission in NASA's Great Observatories Program - a family of four orbiting observatories, each observing the Universe in a different kind of light (visible, gamma rays, X-rays, and infrared). Other missions in this program include the Hubble Space Telescope (HST), Compton Gamma-Ray Observatory (CGRO), and the Chandra X-Ray Observatory(CXO). Spitzer is also a part of NASA's Astronomical Search for Origins Program, designed to provide information which will help us understand our cosmic roots, and how galaxies, stars and planets develop and form. NASA's announcement to decomission the shuttle by 2010 comes as a relief to many in the space scientist community who think the shuttle is out-dated and needs to be replaced by a more efficient space vehicle. The recent shuttle disaster sparked many to question whether the shuttle is safe enough to resume normal operations. On an entirely different note, the Hubble Space Telescope has been given a new lease on life as NASA announced that it will be servicing the telescope soon and keeping it in operation. This after a group of scientists lobbied to save the telescope, saying it still had stellar potential. 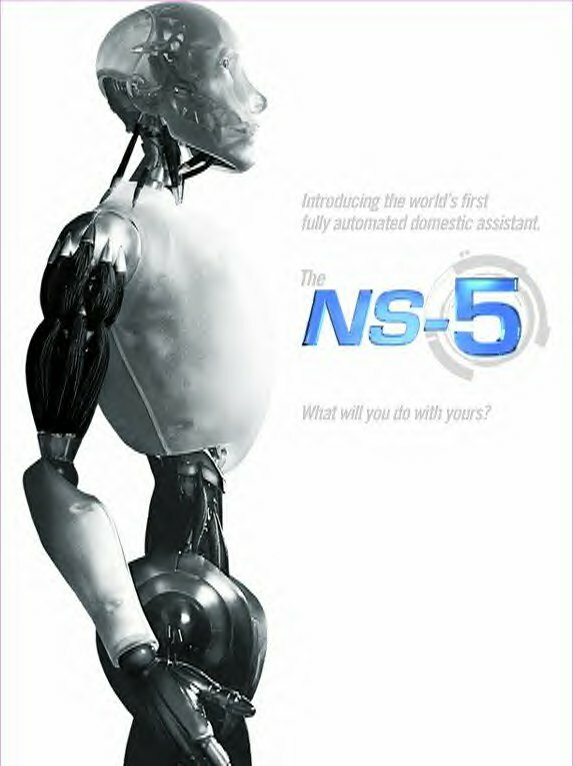 Robot, which is derived from a Czech word meaning "menial labor," got its modern meaning from a 1920 play, R.U.R. (Rossum's Universal Robots), by Czech playwright Karel Capek (1890-1938). The robots in Capek's play develop emotions and overthrow their human masters. A sinister "power struggle" with robots has long been a popular theme in science fiction --- for a change of pace, try Isaac Asimov's "I Robot" stories in which he consciously strove to depict robots as a benefit to society. Today, robots are used in many ways, from lawn mowing to auto manufacturing. Scientists see practical uses for robots in performing socially undesirable, hazardous or even "impossible" tasks --- trash collection, toxic waste clean-up, desert and space exploration, and more. AI researchers are also interested in robots as a way to understand human (and not just human) intelligence in its primary function -- interacting with the real world.